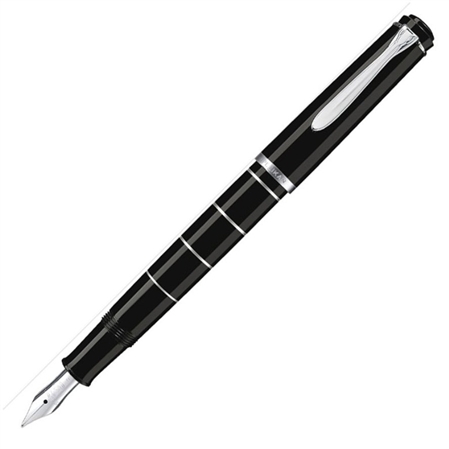 Order your Pelikan Classic M215 Black Silver Rings Fountain Pen today from FahrneysPens.com. Fine Pens, Refills & Luxurious Gifts – great prices & fast shipping. The Pelikan Classic M215 Fountain Pen with Silver Rings gives you the superb quality and performance of Pelikan's German-made writing instruments at an amazing value. The metal barrel of the fountain pen is covered in classic black lacquer and modernized with circular, rhodium rings for an outstanding design combination. The clip and rings are chromium-plated for a polished look. 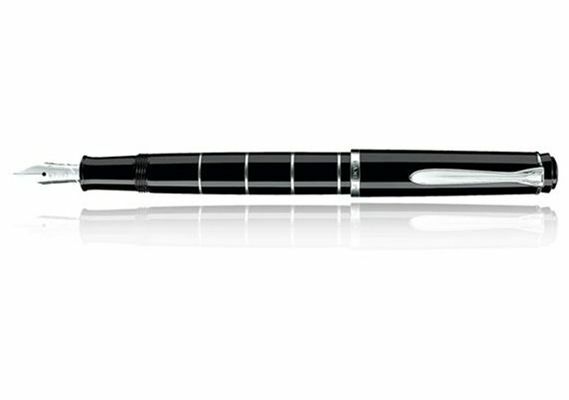 The Pelikan Classc M 215 fountain pen has a handcrafted, stainless-steel nib, and a plunger mechanism for bottle ink filling. 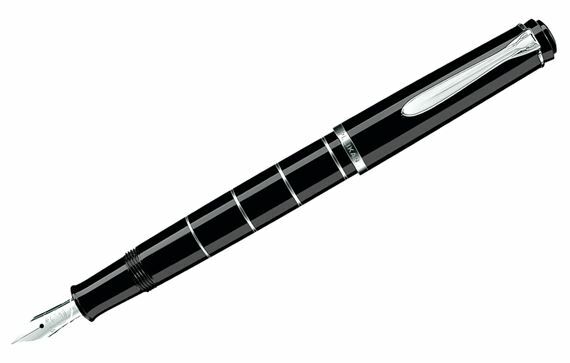 The Classic 215 fountain pen is the perfect choice for smart dressers and smart writers! Pen size and weight: 4 7/8 x 1 1/2, 0.7 oz.